Clan Clover and "Irish Clan"
Ligier JS2, 1976 R14 prototype JS-6 "Ika"
Renault Alpine A310 Special Concept by Coggiola, Gabbiano Concept by ItalDesign, A610 - and apparently the (never sold in the USA) USA spec GTA too? Toyota MR2 (and the SV-3 concept it came from), supra (mk2 on), 2000GT, Celica (3rd,4th and 5th gen cars), AE86 Sprinter Trueno. That's a comprehensive list! Might want to add the Mangusta to the DeTomaso list - a small number (about 50 US-destined, 1970 examples according to Wikipedia) had popups instead of the more common four headlamp arrangement. Do they pop up or are they the same as the lancia montecarlo that had to have “eyelids” because the original lights didn’t pass US laws? That Jag based HR Owen car looks nice - Wikipedia says two built plus one prototype but a quick google seems to show four or five? The raised lights do sit a fair bit higher than the originals. Being (allegedly) made for the US market, it's seems likely they were added to meet US regs. Shame, as they certainly don't look as neat as the originals. Wouldn't turn one down though! Lancia had the same problem - I thought they just had moving eyebrows but I’m not so sure from this picture? Interesting that the Owen Sedanca came from the pen of Chris Humberstone, the same man who was behind the Rapport Forte that I mentioned in the "what cars have you seen?" thread. I saw one of the Sedancas in a Jaguar display at a show at Brooklands, some years ago. with apologies to Fred, who mentioned this car 2 years and six pages ago but it was never added! The idea was proposed by Robert Grind (designer of the R12 & R14) in 1973/74, for a common floor plan and nose section with 3 different rear end styles. 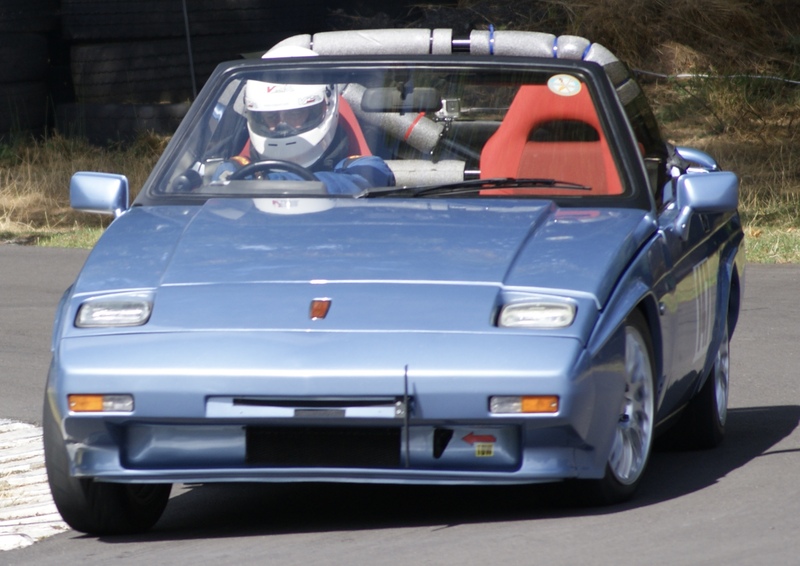 Based on the BC121 project (eventully the R12), it was shelved until Ligier finished building the SM for Citroen and Guy Ligier looked around for more work. A schedule was agreed - prototype in Apr 76, launch of prototype in Paris in Oct 76, small run of 250 vehicles by Jan 77 ready for marketing at the Geneva show the same year. After the first (and only) car was built (in Coggiola, Italy, presented to Ligier in mid-November), the Oct 76 launch was changed to four cars (2 test, 2 show cars) but the JS-6 project was shelved - allegedly because the R15 & R17 were doing so well?